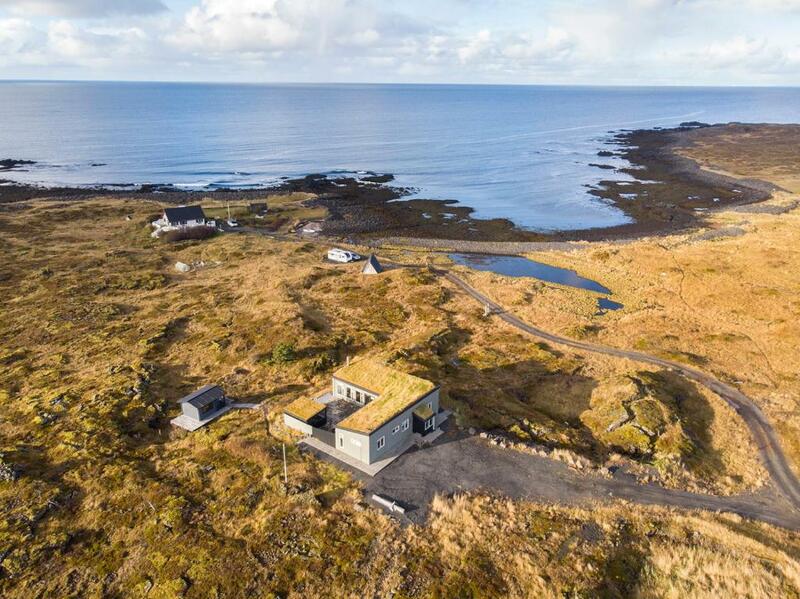 Lock in a great price for Hvassahraun Cabin by the Sea – rated 9.6 by recent guests! 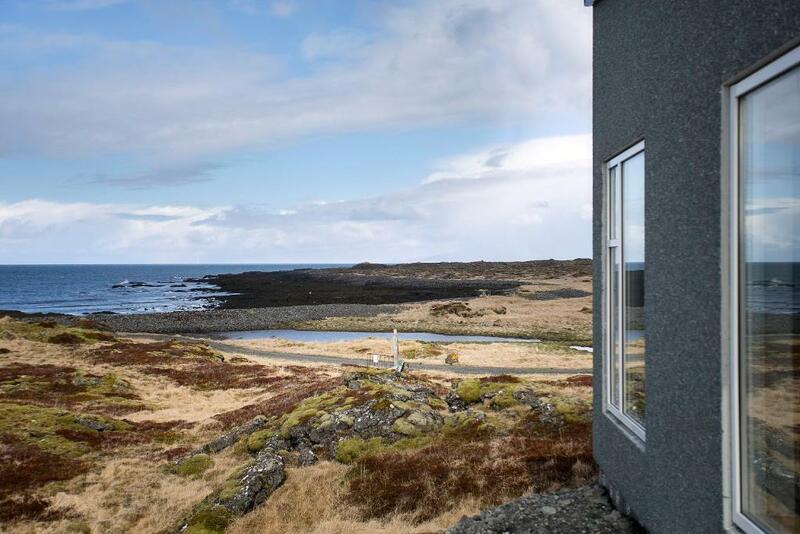 Located in Vogar in the Reykjanes region, Hvassahraun Cabin by the Sea has a terrace and sea views. This property has free WiFi. This villa with mountain views features a bathroom with a bath. There's a seating area and a kitchen complete with a dishwasher and an oven. The villa has a grill. 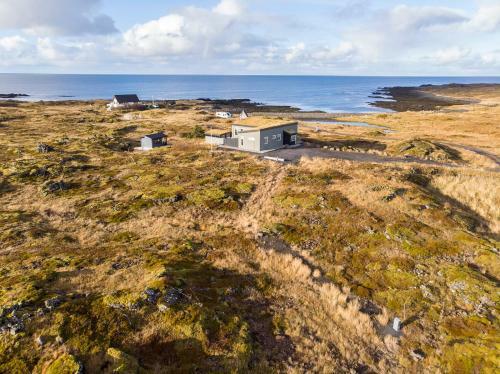 Guests at Hvassahraun Cabin by the Sea can enjoy hiking nearby, or make the most of the garden. 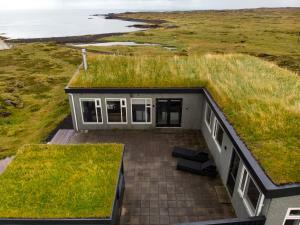 Reykjavík is 14 miles from the accommodation. 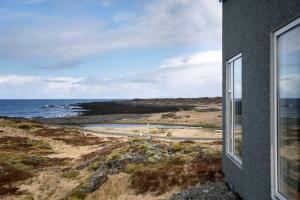 The nearest airport is Reykjavík Airport, 15 miles from the property. When would you like to stay at Hvassahraun Cabin by the Sea? 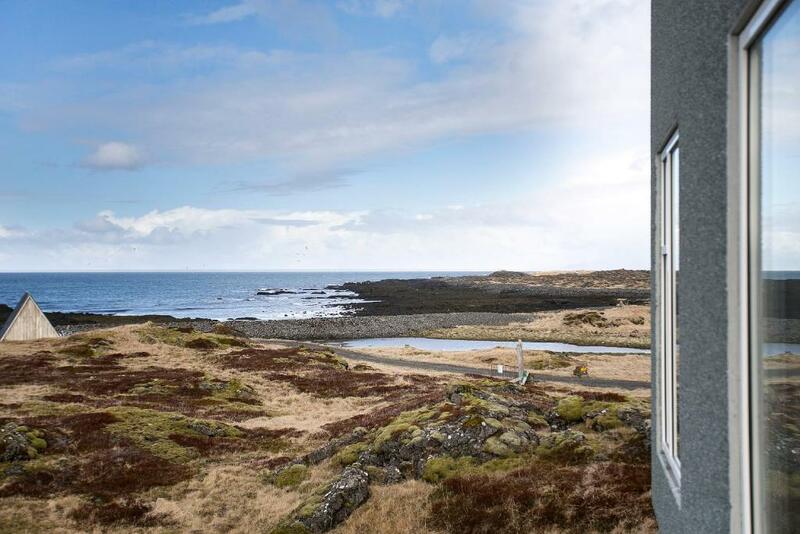 House Rules Hvassahraun Cabin by the Sea takes special requests – add in the next step! To open the door was a little bit difficult, you have to pull the door when entering the pincode and then push hard. Once you know....everything is easy! Notice that one bedroom is rather small and against the fuse box which is clicking a little bit. Overall: this house is a very, very fine house!! We had a great time here, including the Aurora B. 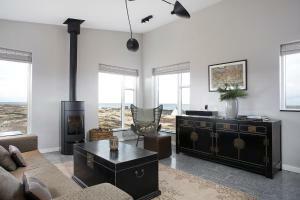 'We liked everything about the house, a really good spot near the sea in the middle of nowhere. Need a 4 x 4 WD. 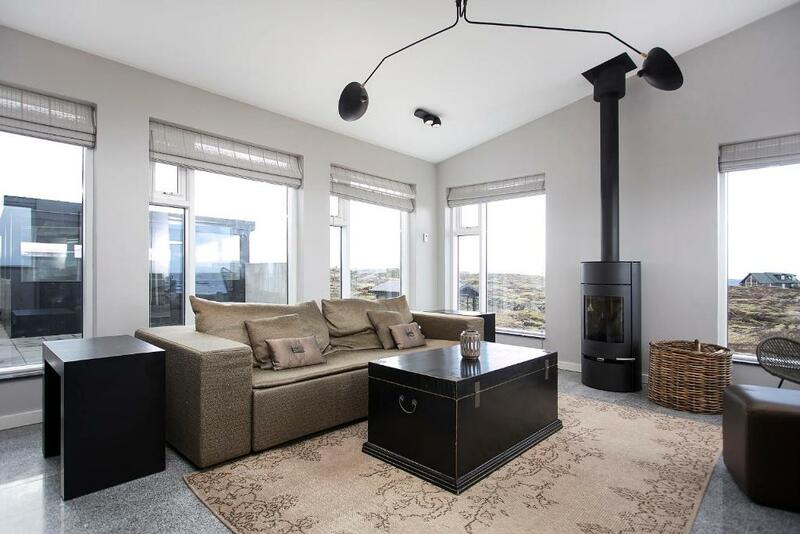 Very comfortable house, warm and cosy for a group of six. Lot of space, kitchen is well equipped, The owner was very responding on our questions. Nice place to discover Reykjavik as well. Neat Blue Lagoon, a good place to start or end your holiday for a few days. 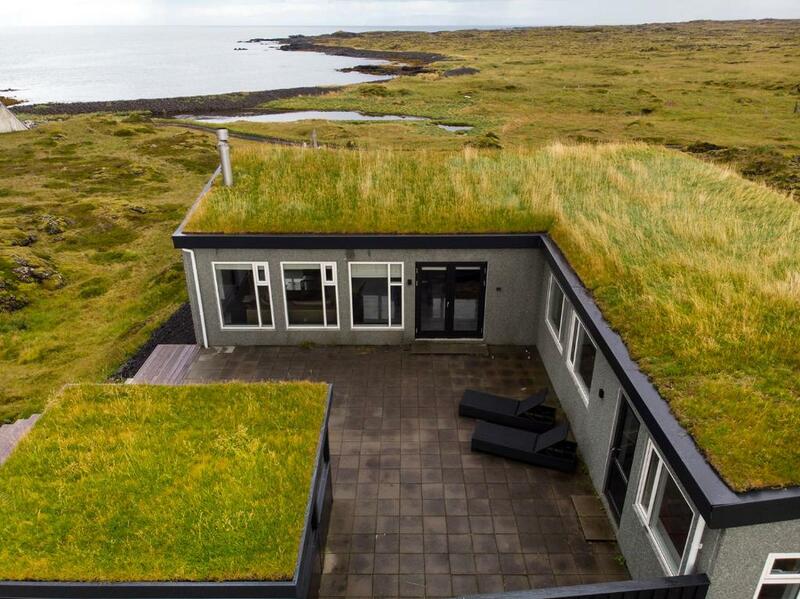 Would definitily recommend this house! The driveway was a bit challenging but we had no trouble with our SUV. We had a wonderful experience, the home is modern, clean and comfortable with a beautiful view of the sea and amazing sunsets. The house is spacious and bright with all of the necessary amenities. 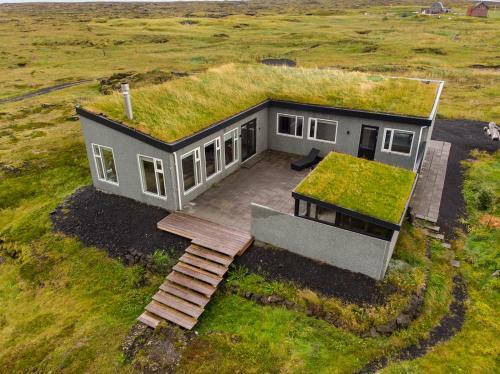 It's a quick commute to Reykjavik, the airport and the Blue Lagoon. Our granddaughters loved exploring the surrounding area down to the seaside. We highly recommend Villa Hvassahraun Cabin by the Sea.